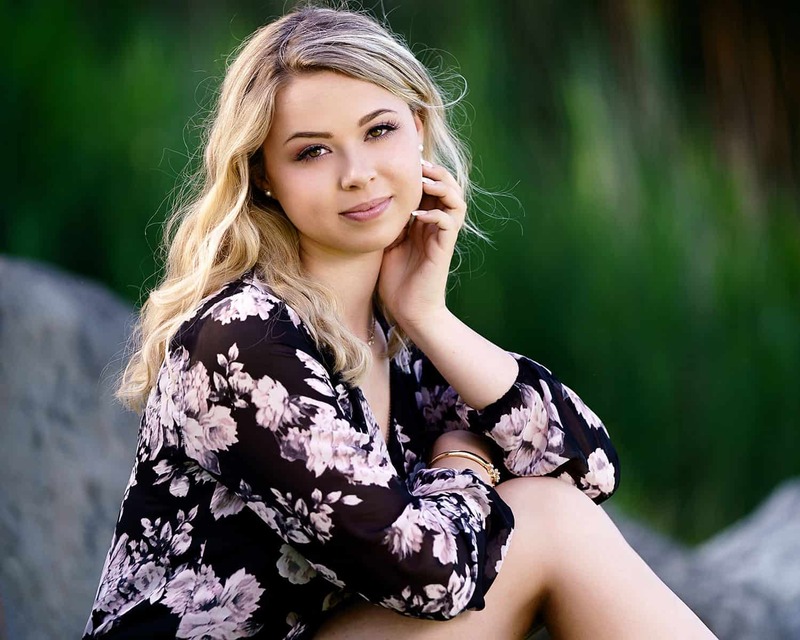 Today we’re featuring our senior photo shoot with Morgan from Prairie Ridge! She’s one of our Model Reps for the Class of 2019 and you can save $50 on your own senior photos just by mentioning her name! 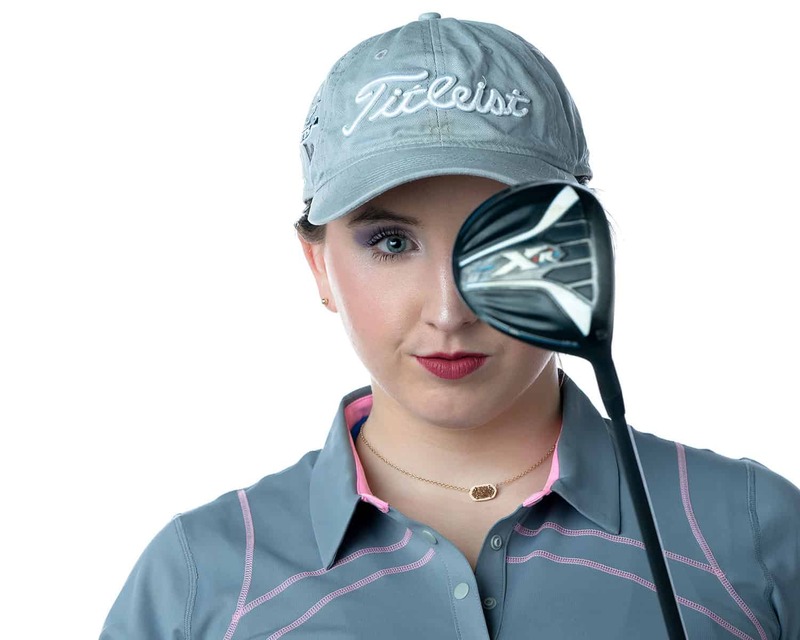 Morgan’s an excellent golfer and a member of PR’s golf team. 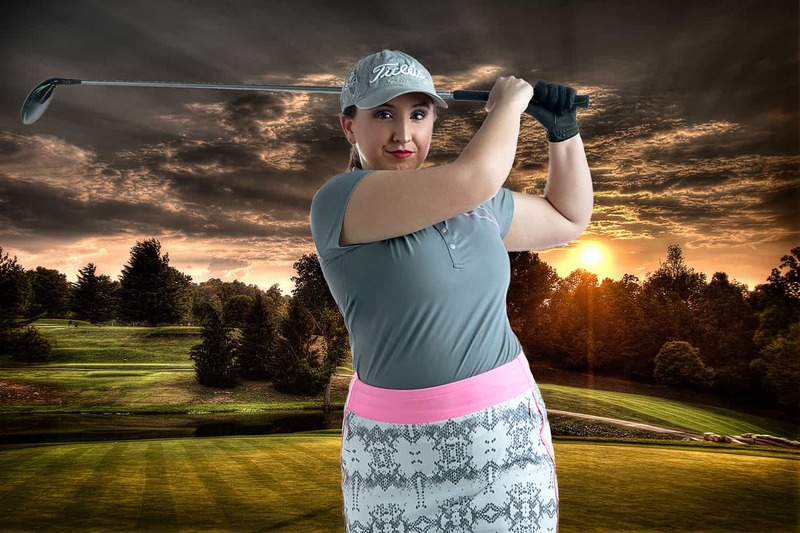 Has she ever scored a hole in one? You’ll have to read our interview with her below to find out! Morgan came to her sessions well prepared with some great outfit choices and incredible makeup! She also brought in her golf clubs so we were able to capture some sports images as well. Morgan: My friends were part of the rep program and I thought it would be fun! I have never had professional pictures done, so I was excited for a new experience! n:What was your favorite part of your photo shoots? M: Trying all the different backgrounds while doing the indoor shoot and using the ring light to bring out your eyes. n: Did you feel prepared for your photo shoots? M: I felt very comfortable! I felt confident and everyone there was very good at making the experience fun! M: They turned out way better than I could’ve ever imagined! M: I really did like being a rep! It was fun advertising for nfocus and putting the photos out there. n: Is there anything you wish you’d done differently during your shoots? M: I wish I had done another themed shoot with some of my friends! M: Yes so many of my friends did! They talked about how great the photos were and how wonderful the backgrounds were. 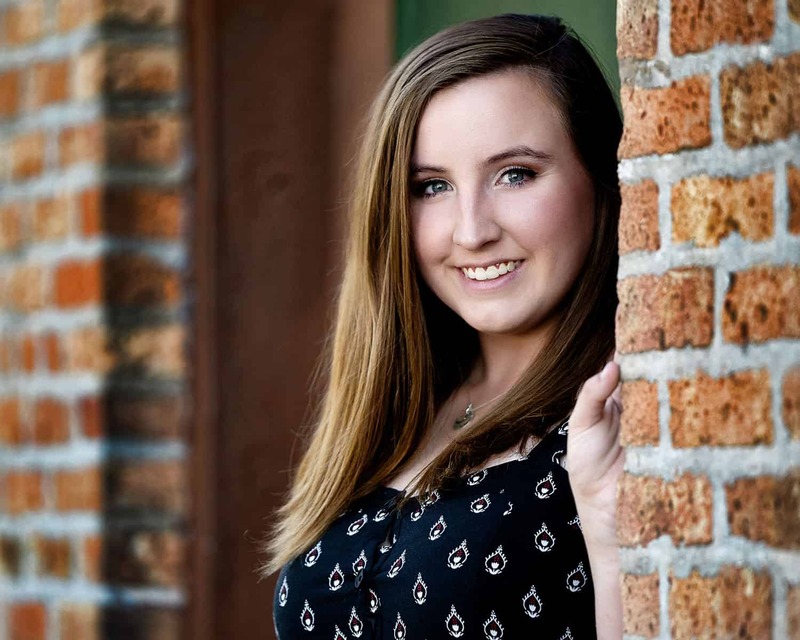 M: I would definitely recommend nfocus because it’s a wonderful place to get senior photos done and also become more confident in yourself. M: I am looking forward to choosing a college and hoping to get an athletic scholarship. I am also looking forward to my final prom. M: I travelled to South Korea and China for 3 weeks and helped my sister teach English there. n: Have you ever come close to a hole in one? M: I was about a foot from the hole once. It was an incredible feeling to almost get one of the luckiest shots in golf! n: Who’s your go to band or singer? M: Probably Mumford and Sons or Vance Joy. I am very into Folk and alternative music. n: Where do you see yourself in 10 years? M: I see myself owning my own animal therapy company that goes in prisons and hospitals. I see myself having a kid or getting ready to have one. I hope I am still playing golf on a regular basis and living in South Carolina or Georgia. Today we’re featuring photos from our senior shoot with Cary Grove senior and nFocus Model Rep, Carly! Every once in a while we get a senior who is completely at ease in front of the camera and that was most definitely the case Carly! She knew exactly the right expression for every situation, brought great clothes and had her makeup done to perfection! Check out the photos we’re featuring here and you’ll see what we mean! 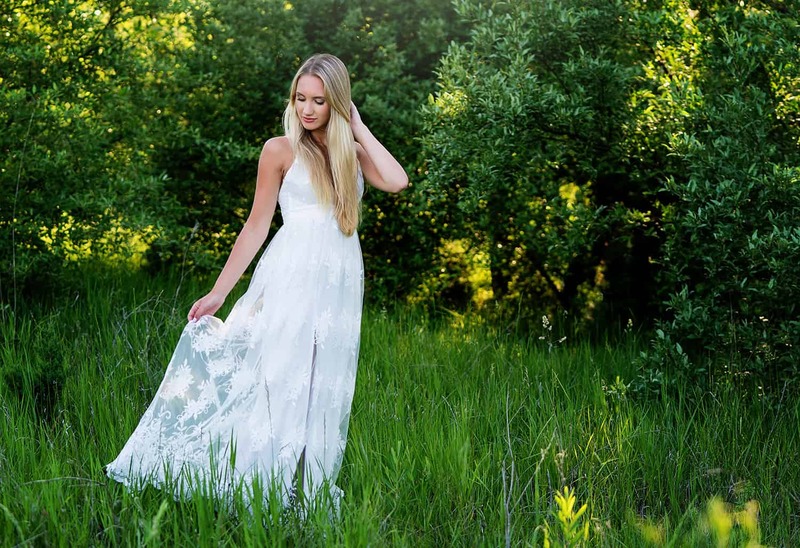 We captured some incredible images from both her studio and outdoor shoots! Carly: I saw a lot of upperclassmen post pictures from nfocus for their senior year and loved what I saw! C: I loved every part of it! Going to different locations, the happy environment, trying new poses! n: Did you feel prepared for your photo shoots? Were you nervous at all? C: Yes, i felt really prepared because there wasn’t too much pressure for anything. At first i was a little nervous, but as time went by I felt more and more comfortable in front of the camera. n: Do you feel like you were adequately coached through the shoots? Did you ever feel awkward or unsure of yourself? C: Yes! I love so many of them! They all turned out amazing!! n: Your Mom was at your photo shoots. Did you feel like that was a good bonding experience for the two of you? C: Yes, because I came to her about being a rep and she supported my decision and really enjoyed that I was happy doing it. And she loved final photos!! C: I loved being a model rep!! I really liked the happy environment and I felt very comfortable! C: I’d probably bring more outfits.. and wear different colors. C: Yes, all the time! They said how well they really captured me and some of the poses were great! n: Would you recommend nFocus to your friends? Why or why not? C: Of course! It was an amazing experience and now I have so many great senior pictures!! n: Speaking of being a senior, what are you looking forward to this coming year? C: Probably all the fun senior things, like Spirit Week, Senior Breakfast, Senior Ditch Day, and just having fun for one more year! C: I’m actually very artistic. I got into art and drawing my sophomore year. It’s very calming. n: Are you planning to play softball in college? C: Due to my most recent injury, most likely not. Before that I was planning to but it all depends on how fast i can heal. n: Which would you prefer? A solo homerun or a double that knocks in three runs? C: A solo homerun for sure!! There’s nothing better than having your whole team line up at the plate cheering for you while you jog around the bases!! C: Cubs always!! 2016 World Series champs!! C: A high school English teacher! I love everything about English and helping kids learn. n: What’s your go to comfort food? C: Sushi, definitely! I love Sunday dinners with my family going out to a sushi place. Ii look forward to it every week!! 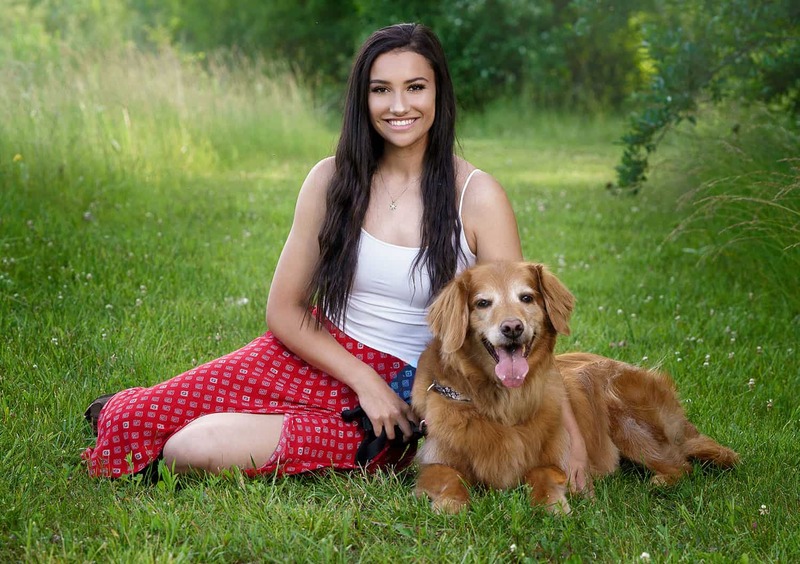 Today we’re featuring high school senior pictures with Lilly who was one of our Class of 2019 Model Reps! As a Model Rep we photographed Lilly twice, a studio shoot during the Spring of her Junior year and then a summer shoot when she was officially a senior. We also did a Clueless themed photo shoot with Lilly and some of her friends that was completely amazeballs! 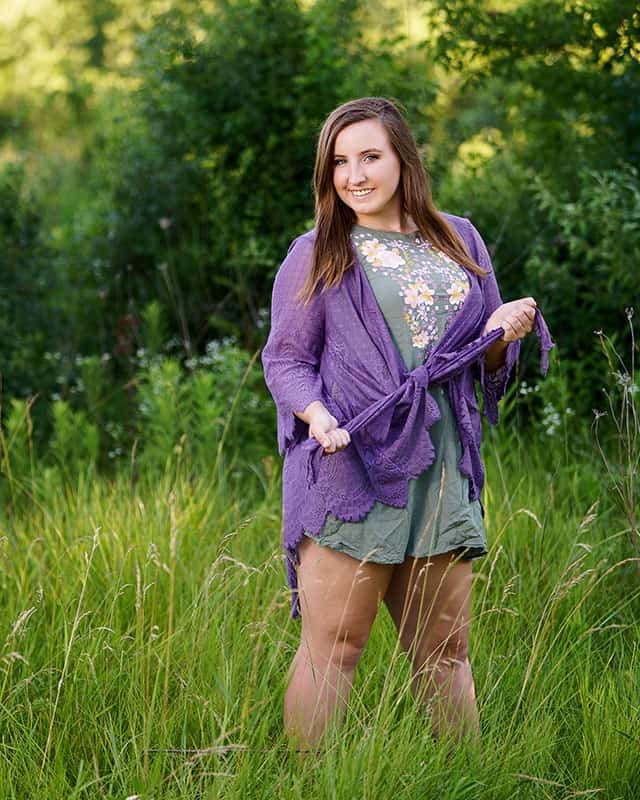 Lilly was one of the sweetest seniors we’ve ever worked with and was very enthusiastic about the process. We ended up with so many great photos and you can check out a bunch of them here in this post! 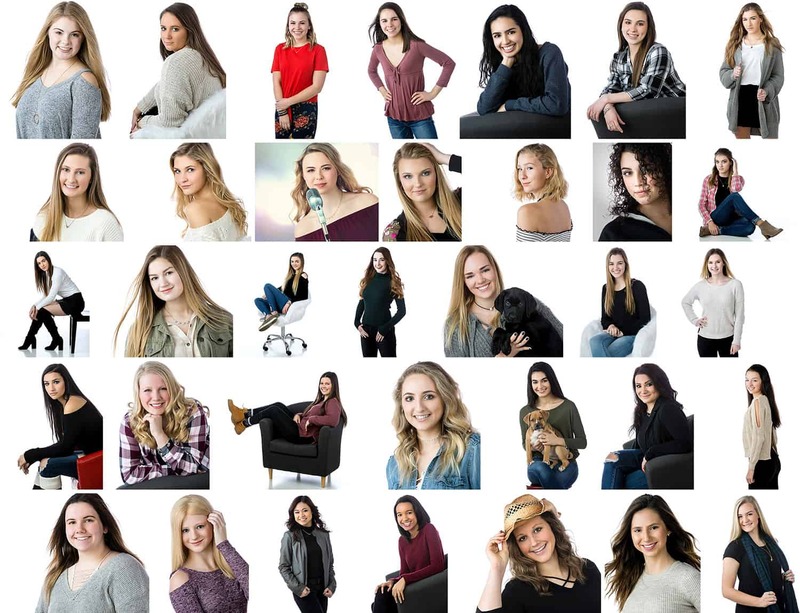 nfocus: Thank you for being one of our Class of 2019 Model Reps this year! As a Rep you had the chance to participate in multiple photo shoots. What was your favorite part? Lilly: I loved getting to do a photoshoot with my friends that was “Clueless” themed. We got to pick out really fun outfits and the pictures turned out awesome! l: I guess I was a little nervous at first for the indoor shoot, since it was my first time taking professional photos since I was really little. But once I got there, Nick made it a really comfortable environment and it was so much fun! l: Poses definitely do not come naturally for me, so Nick had to coach me throughout a lot of it. Sometimes I would do a pose that I felt really awkward about, but seeing them after, I realize that it actually looked awesome! n: Your parents were at your outdoor shoot. Did you feel like it was a good experience for the three of you? l: Having my parents at the outdoor shoot really helped me! With my dad making jokes pretty much the whole time, I felt like my pictures looked way more relaxed. I especially have to thank my mom for helping me with my outfit changes and being there to help however she could at all of my photoshoots. l: My final photos turned out better than I could’ve ever expected! The way that they were shot and edited were so beautiful and I am so excited to be able to show these to my family at graduation next year. n: Did you enjoy being a Model Rep? What did you like about the experience? l: I loved being a Model Rep! It was so much fun to see pictures posted of me on something other than my own Instagram page. It made me feel like a real model and I got so excited whenever someone would comment something on a post. l: There is nothing I would have done differently. I think that it all went great! n: What types of things did your friends say about your photos? l: A lot of my friends commented on my photos! I had a lot of friends ask where they were done because they said that they were so beautiful. l: I would 100% recommend nFocus to my friends. It was so much fun to pick out outfits and go to the studio and your personality really shines through in the pictures. l: My senior year I am really looking forward to the football games. As a senior you really get to go all out with costumes and spirit! l: Something most people don’t know about me is that when I was 8 years old I opened a pie company called “Grandma’s Pies”. I created a website where neighbors could order pies and I would bake them and deliver them on my bike. n: Who was you favorite musical artist when you were in Junior High? l: When I was in Junior High I was OBSESSED with broadway musicals. Legally Blonde was and still is definitely a favorite. n: What’s your favorite spot on the planet? l: My favorite spot on the planet is Charleston in South Carolina. I visited there a couple summers ago and feel in love with the people and the beautiful city. l: In ten years, I’ve hoped to have travelled the world and be a successful business women. I also love family so I hope to still live near my relatives and maybe even be starting one of my own. 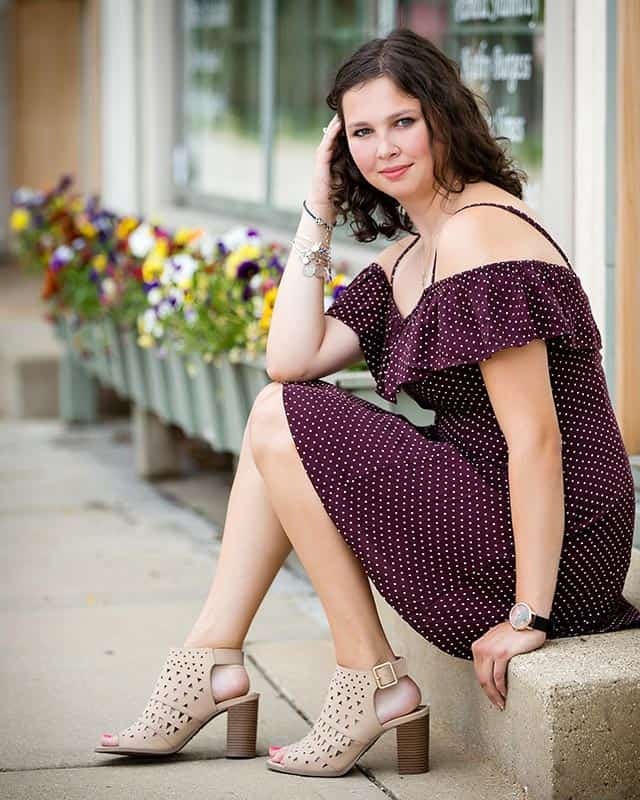 Today we’re featuring photos from our senior shoot with Bella who just graduated from Prairie Ridge High School in Crystal Lake, IL! Bella was one of our Class of 2018 Model Reps and we photographed her in the studio last Spring as well. You can see some of the photos from that session here. Bella was originally scheduled to be photographed outside last fall, but the weather just never cooperated. So glad we waited because we ended up with a perfect day for her senior shoot! Bella was very at ease in front of the camera and a lot of fun to work with. She brought great clothes and had her makeup was done to perfection! Check out some of the photos from her session here… They’re amazing!! If you’re interested in senior photos and would like to schedule a free consultation, please get in touch! The easiest way is to fill out the information request form below, but you can also email Nick or give him a call at 815.347.2258. Our summer schedule is already full, but we still have fall dates available! So don’t delay!! 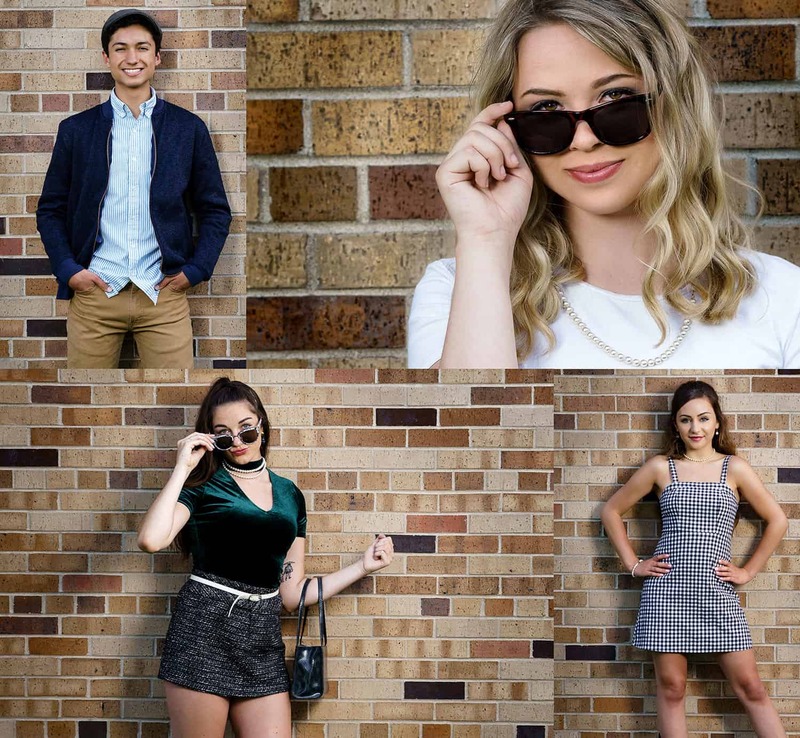 Today we’re featuring photos from our Clueless themed photo shoot with Class of 2019 Senior Model Rep Lilly and her friends Alyssa, Hailey and Allan! Lilly and her friends are all involved in theater at Cary Grove High School and wanted to try something a little different! 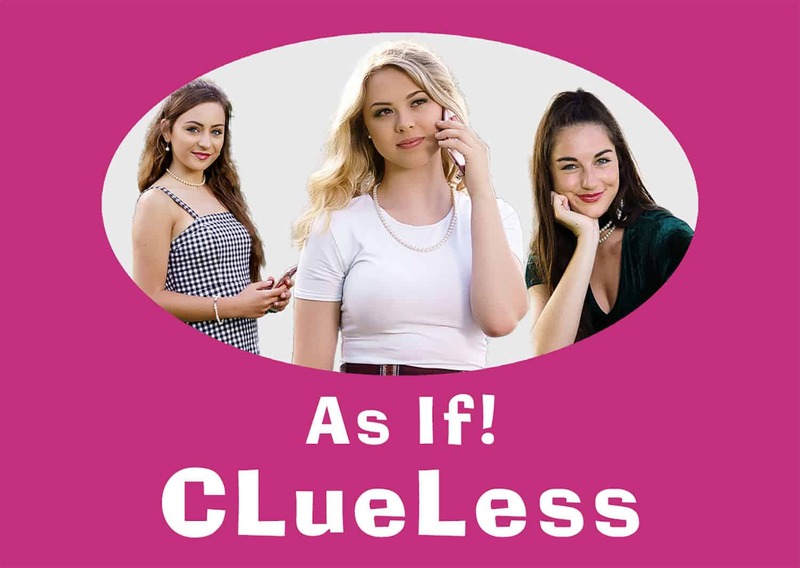 So they scoured their closets for some 70’s looking clothes, grabbed their phones, purses and cosmetics and we did a photo shoot based on the movie Clueless! Had a blast working with this group out at Cary Grove High School and we ended up with some totally cool photos!! To see more photos from this session check out our Clueless album! Hey, Class of 2019 – Congratulations! You are finally seniors!! Just in time for our annual senior session sale!! For one week, 2019 Seniors can get our MOST POPULAR session for just $20.19. It’s our 2 hour/4 outfit outdoor Breakaway session that normally goes for $150. 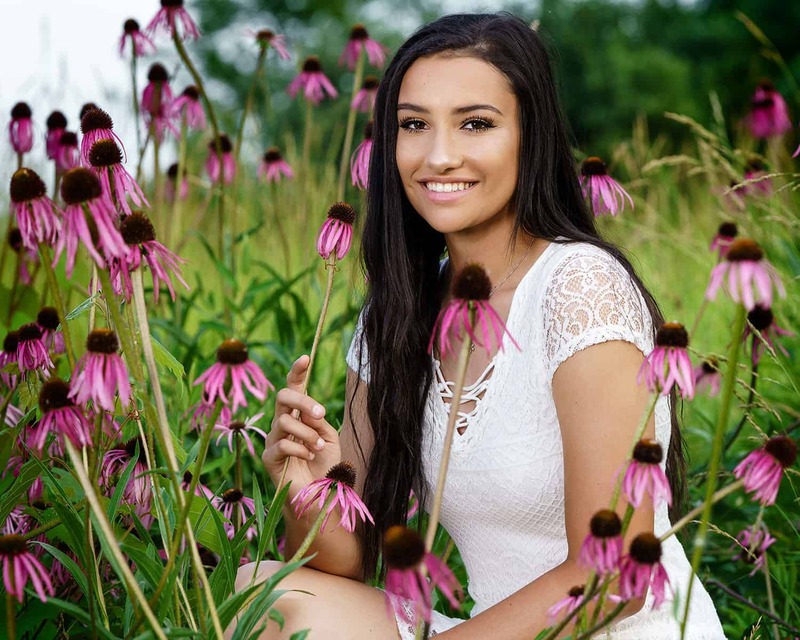 That’s a savings of $130 on your Class of 2019 senior photos! and you need to be super excited about have your senior photos taken! At the consultation we’ll go over how everything works, what you should wear, where you should be photographed and everything else you need to know to have the best senior session possible! Then, if you decide to book a session, it’ll be just $20.19 and you can schedule it for any available date this summer! You’re going to want to get in on this now! 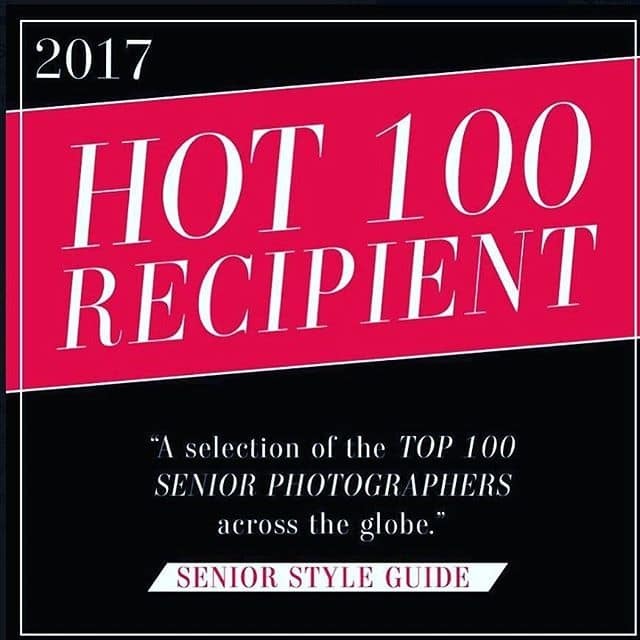 We only photograph 80 seniors a year and more than half of those spots are already filled. So don’t delay. Contact nFocus today! To set up your consultation just fill out the form below and Nick will be in touch about setting up our meeting! Or, if you have any questions give Nick a call at 815.347.2258 or email him. If you’ve been putting off applying to be an nFocus Model Rep for the Class of 2019, you’re going to want to get on it NOW! This year’s program has been SUPER POPULAR and we only have room for 5 more reps! So if you want IN, follow the link below to apply TODAY! nfocus Model Reps get a free outdoor senior photo session this summer as well as a free session in the studio this spring. During these sessions we’ll be trying out new ideas and backgrounds as well as creating photos for our advertising and other promotional materials for the Class of 2019. You’re going to be the first ones from your senior class getting photographed and your photos will be all over Social Media and the nFocus website! 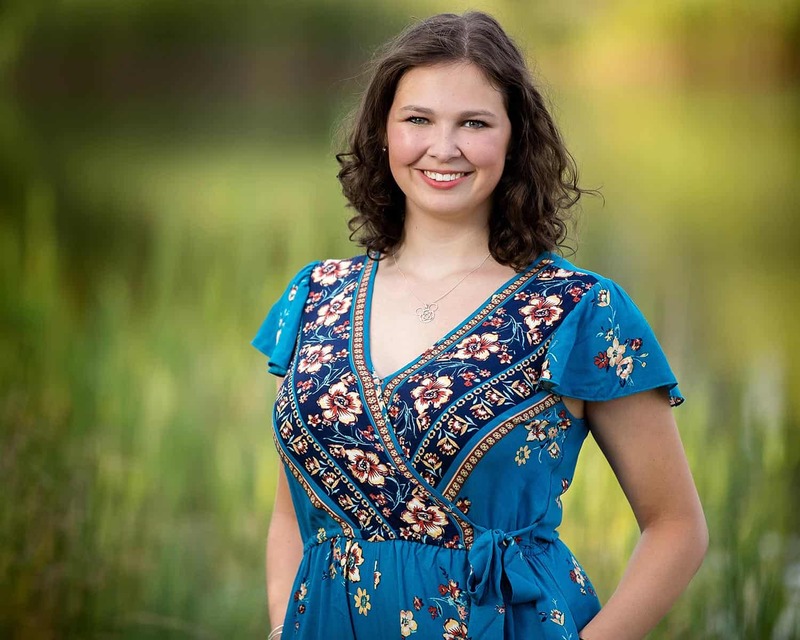 In addition to the free photo sessions, if you refer your friends to nFocus you can earn things like discounts on your senior photo prints, cash bonuses and even metal prints of your images. Also every time your refer a friend you’ll receive an entry in our year end drawing for cash bonuses! To apply, go to nfocusphotos.com/rep19 and submit your application. Make sure your parents know you’re applying because once I get your application I’ll be back in touch with you and your parents to set up the consultation meeting. I’m only going to be taking applications for a short while longer, so apply soon! If you have any questions you can email Nick Porcaro or message him on Facebook. In less than three months you’ll be done with high school FOREVER and on to bigger and better things! Ten years from now, you might be married and maybe you’ll even have your own kids! How are you going to prove to them you used to be cool? Life goes fast and even though you don’t believe it now, someday you’ll miss high school. BELIEVE ME – IT HAPPENS! You’re going to wish you had great photos to look back at. 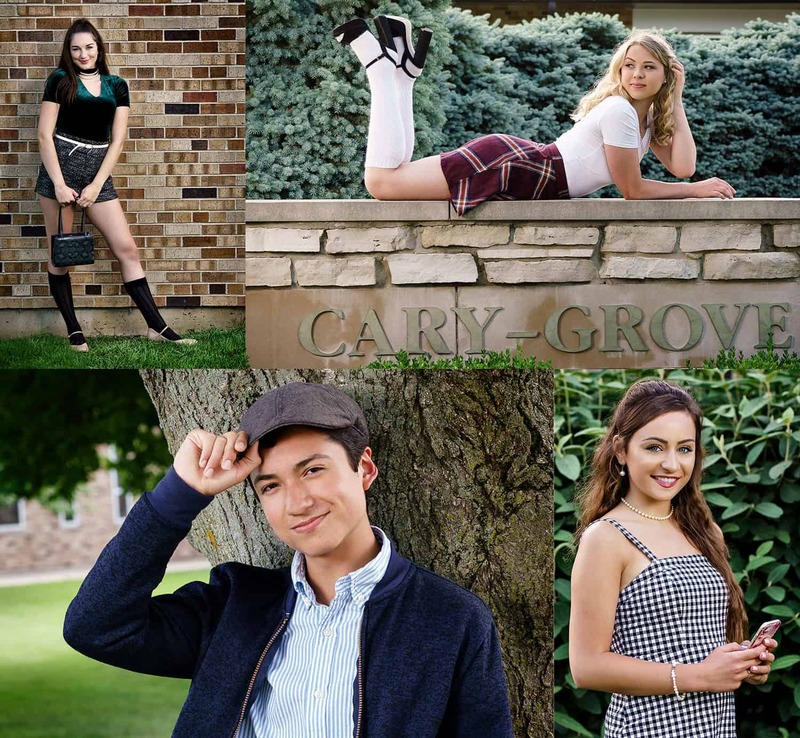 Schedule our most popular outdoor senior photo session during March – the 4 outfit Break Away Session – and we’ll include a free 2 outfit photo shoot in the studio as well as a $50 print credit you can spend however you’d like. We’ll do the studio shoot now so you have photos in time for graduation and then we can schedule the outdoor session once the weather is nice again. It’s the best of both worlds! Fill out the form below and I’ll send you all the details ASAP. Don’t let time slip away! Juniors! The search is on for our Class of 2019 Model Rep team! nFocus is looking for Juniors to represent their class as nFocus Model Reps! We are looking for energetic fans of our work who want to have us take their senior photos and who are willing to be ambassadors of our studio. First, nfocus Model Reps will get a free outdoor senior photo session next summer and an optional free session in the studio this spring. This year we’re also offering optional themed group sessions as well as private sessions for you and your besties! During these sessions we’ll be trying out new ideas and backgrounds as well as creating photos for our advertising and other promotional materials for the Class of 2019. You’re going to be the first ones from your senior class getting photographed and your photos will be all over Facebook, Instagram and the nFocus website! 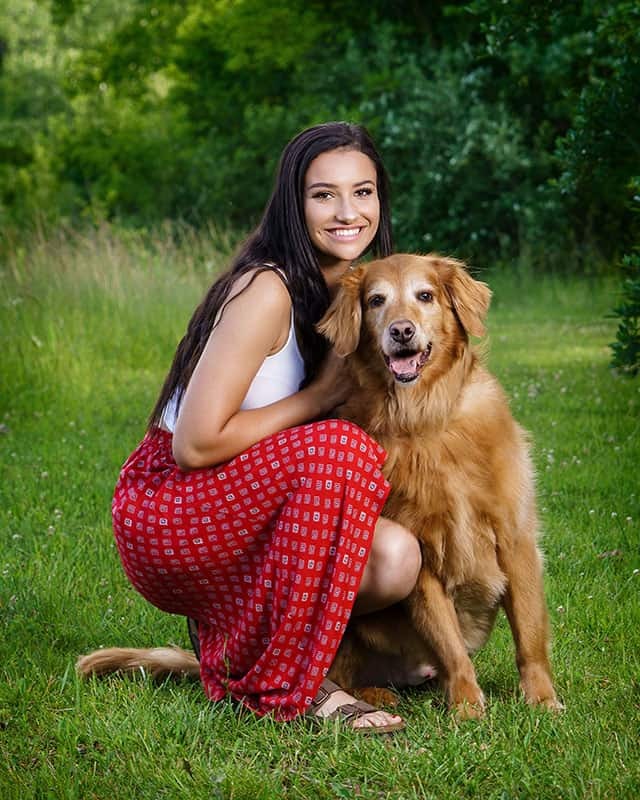 In addition to the free photo sessions, every time you refer a friend to nFocus or promote nfocus on social media you’ll earn points good for discounts on your senior photo order, as well as additional products you’ll love and entries in our year end prize drawing!! To apply, go to nfocusphotos.com/rep19 and submit your application. Make sure your parents know you’re applying because once I get your application I’ll be back in touch with you and your parents to set up the consultation meeting. I’m only going to be taking applications for a short time, so apply soon! If you have any questions you can email Nick Porcaro or message him on Facebook. Looking forward to working with you! 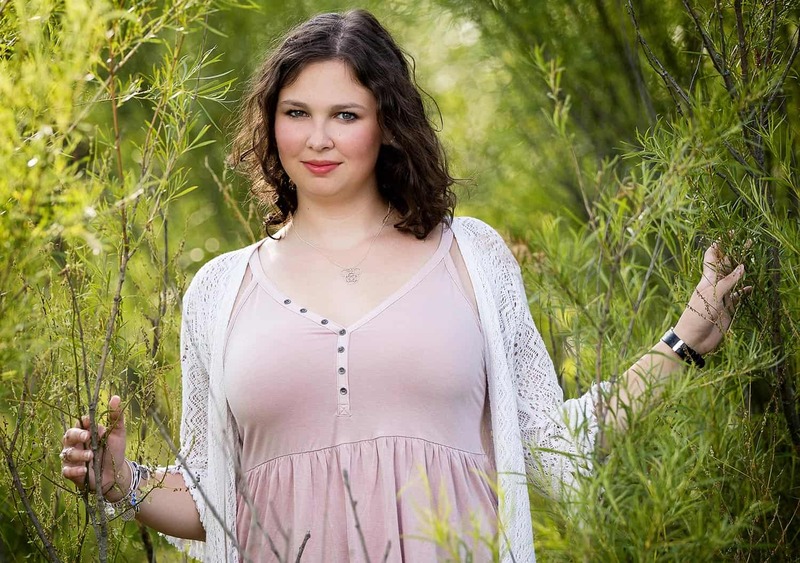 Today we’re featuring senior photos from our sessions with Rachel who’s a senior at Cary Grove High School. I photographed her older sister in 2014 and was excited when Rachel decided to be one of our Class of 2018 Model Reps! As a Model Rep we photographed Rachel twice, a studio shoot during the Spring of her Junior year and then a summer shoot when she was officially a senior. With two shoots like that you have plenty of time to try different things and get really comfortable in front of the camera. And Rachel was fantastic in front of the camera! She brought a bunch of great outfits that reflected her style and killer dimples that the camera loved! By the time we got to our outdoor session, I don’t think we took a single bad picture! nFocus: How would you describe your photo shoots? Rachel: I would describe the photo shoots as really fun. I wasn’t sure what to expect but I loved the whole experience. R: My favorite part of the shoots was using different props or backgrounds like in the Hollows and Downtown Cary that I had never thought could be good spots for photos. n: Some of your friends may want to have a friend take their senior photos, or their Mom’s friend with a nice camera. What would you say to them about your experience working with nFocus? R: To the people who just have a friend take their photos, I think they miss out on the experience. It is all very professional at nFocus but everything was still fun with incredible photos at the end. n: Your Mom was at your shoot. Did you feel like it was a good bonding experience for the two of you? Why or why not? R: I think having my mom at the shoot was a good bonding experience because it was a different environment for us to be in and I was able to play off of her reactions to things. R: The final photos turned out a lot better than I hoped. After my sister’s senior photos a couple years ago, I knew they would turn out amazing but I was kind of surprised by just how much I loved them. n: What did you like or dislike about your experience as a Model Rep? 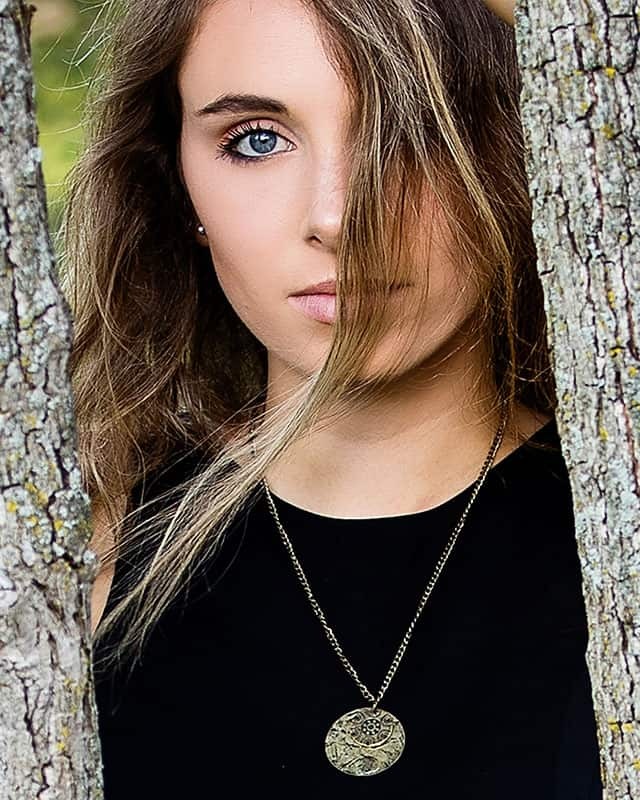 R: I absolutely loved being a model rep because it was something completely different from what I have done in the past and I loved seeing how the photos turned out from both the indoor and outdoor shoots. R: In 10 years, I would like to be married and starting a family but career wise, I would like to be living in Europe and working in either a museum or at a historical sight teaching people about the history. n: If you find yourself with an hour to spare, what do you like to do? R: If I ever have an hour to spare I like to spend my time reading. I love being able to jump into another world and seeing characters develop. If you’re interested in being a Class of 2019 Model Rep, the details will be out soon.Watch our blog for more details on December 1st!